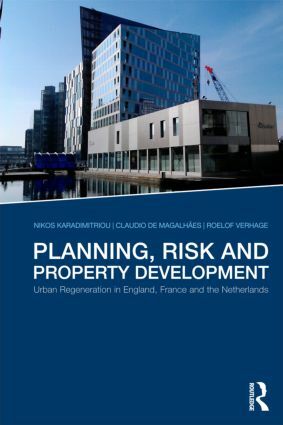 Urban regeneration schemes involving a wide range of actors and dependent on private investment are increasingly deployed in Europe’s cities with the aim of delivering private, merit and public goods. This book explores the relationships, objectives and strategies of the actors engaging in these schemes in cities of three advanced European economies. It researches the outcomes of actor interactions as these transform under the influence of changing market circumstances and associated risks. The book focuses on the way this change is reflected in the provision of mixed-use developments within a context of increasingly polarised housing markets and urban growth patterns. It argues that although these schemes can and do deliver much-needed dwellings, their exposure to market risks may in many cases cause them to fall short of the desired socio-economically sustainable outcomes.